AUCKLAND, New Zealand - With 177 appearances for the Navy Blues during a seven-year spell, defender, Angel Berlanga has certainly made a name for himself over the years, winning a number of domestic and international titles at Auckland City FC. Heading into his eighth season with the Navy Blues, the Spaniard will lead Auckland City FC out onto the pitch in their opening match of the season this weekend against Team Wellington, with the aim of getting the Navy Blues off to the perfect start. We caught up with Berlanga, who was able to give us five facts about himself, so that we could get to know him a little bit better. As a football fan, Berlanga is a strong supporter of Real Madrid. Since the year 2003, Berlanga and his brother have been season ticket holders for Real Madrid and have always seen the Santiago Bernabau Stadium as a special place to attend. A fond memory for Berlanga at the Bernabau Stadium was watching the El Clásico in the UEFA Champions League knockout stages a number of years ago, a match which Berlanga describes as “a very special occasion”. Auckland City FC’s famous 2014 FIFA Club World Cup campaign has been noted down in the history books of the competition and for Berlanga, it’ll be a memory he will never forget. With the Navy Blues attaining an astonishing third place finish at the tournament, Berlanga was extremely happy to see his family make the travels from Spain to Morocco just to see him play. The Navy Blues Defender also had the chance to talk to the Real Madrid president, Florentino Perez at the trophy ceremony and received Ronaldo’s T-Shirt signed by the Real Madrid players. Berlanga came to New Zealand to explore and travel the country as a backpacker, with the plan of returning back to Spain at the conclusion of his trip to build a career. However, things took a quick turn and with Berlanga trialing at Auckland City FC at the start of the decade, everything changed for the defender as a six month trip, turned into a solid eight years in a country that he describes as “very beautiful”. Prior to his trip to New Zealand, Berlanga studied Sport Science in Spain for five years. During his time at University, Berlanga describes the duration of his studies as the best five years of his life, with a daily routine of going to University in the morning to study and then playing football in the evenings. “It was really tiring but so rewarding” Berlanga said. With the ambition of travelling to both Australia and New Zealand eight years ago, Berlanga knew nothing about the Pacific Islands. 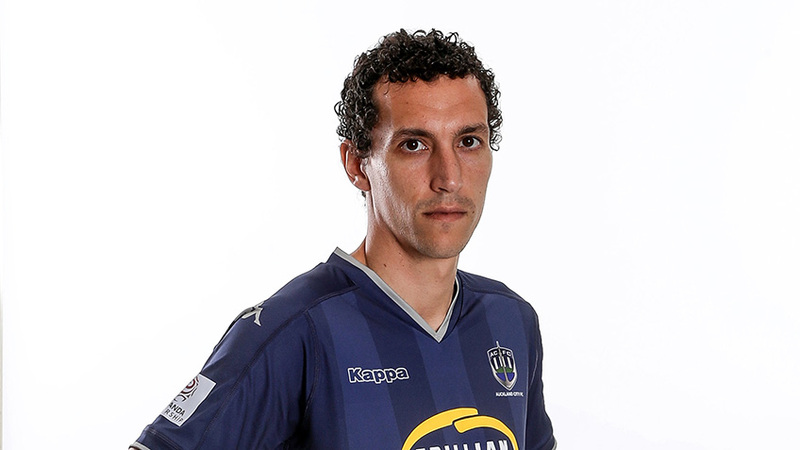 It wasn’t until Berlanga travelled with the Navy Blues to the islands for a number of OFC Champions League competitions over the years, that Berlanga fell in love with the region, which he describes as “Unbelievable”. Auckland City FC will take on Hawke's Bay United on Sunday at Kiwitea in their third match of the ISPS Handa Premiership season. Story reproduced with the kind permission of Auckland Football Federation - the original article can be read here.